Growing up, I’ve witnessed how the streets of downtown Iloilo are filled with echoing drums and splashes of colors come end of January. It’s always a different experience every year. The street parades are my favorite part because I only need to look out from our window to enjoy the view. Talk about a free VIP site, right? Iloilo City’s Dinagyang, the lesser known counterpart of Sinulog festival, is a religious and cultural festival that pays tribute to Santo Niño as well. The main events run for three days on major city streets, which are closed to vehicles to make way for the street parades and one giant food and music festival. For this year’s festivities, the highlights run from Jan. 25 until Jan. 27. Check out the schedule of events here. There are multiple stages set up along the street parade route but the best place to watch the Ati tribe competition is from the Freedom Grandstand. It’s the main stage situated at the heart of downtown Iloilo. In fact, the establishment has undergone some major renovations the past few months. The new grandstand, now facing Iloilo river, is ready to be utilized in this year’s Dinagyang festival. Get a taste of street food and local cuisine during the Dinagyang festivities downtown. But if you’re feeling extra adventurous, there are tons of foodie gems around the city that you simply should not miss. Here are some tips to help you get started: Seafood is a must in Iloilo and the best places to get your fix are Breakthrough (the scallops are superb) and 7 Fishes by Coco Veranda. For Ilonggo cuisine, I highly recommend Tatoy’s, which is known for its native manok. If you’re walking around downtown and happen to be near the Freedom Grandstand, do visit Roberto’s; I simply cannot hype their siopaos enough. 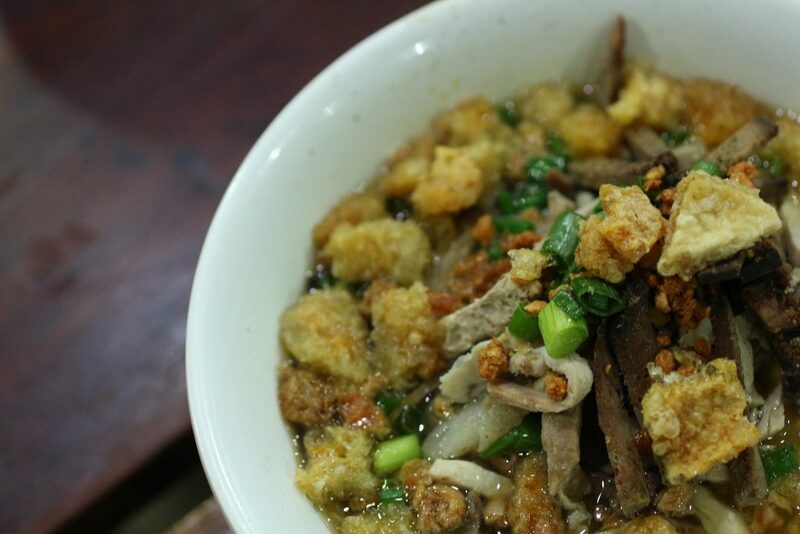 And lastly, what’s a visit to Iloilo without having the original La Paz batchoy? The best and most authentic one there is is tucked inside La Paz palengke and it goes by the name of Netong’s. While you’re there, have a drink of freshly brewed Ilonggo coffee at the historical Madge’s, which is just a few steps away from Netong’s. Iloilo has its own fair share of pristine beaches that aren’t too far away from the city. 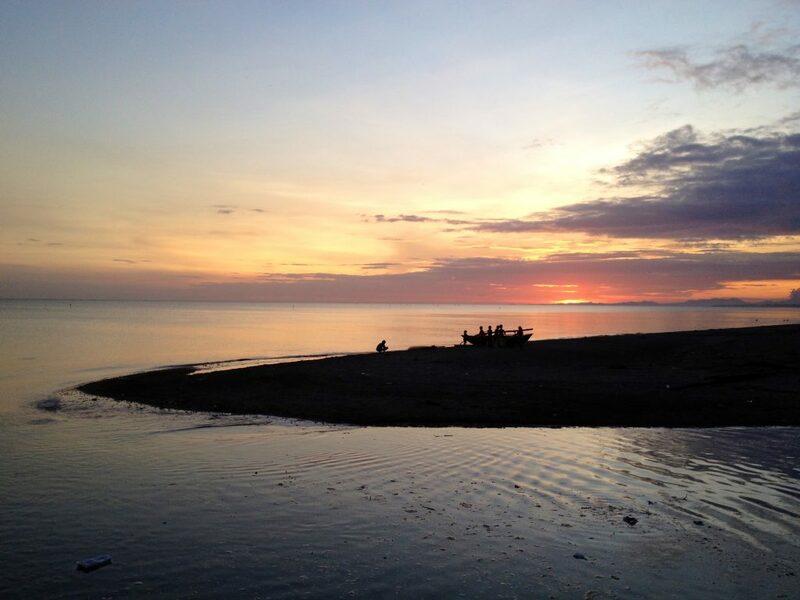 There are beach resorts in the nearby town of Oton, which is 30-45 minutes away from the city. But here’s a pro tip: The beautiful island of Guimaras is just 15 minutes away from downtown by boat. From there, you can visit white sand and blue-water beaches that are similar to those of Boracay (and they aren’t crowded, too). And if you’re lucky, you can also grab a bite of Guimaras’ mangoes, which are often regarded as the sweetest of its kind in the country. Iloilo is rich in heritage sites, too. Spanish-colonial churches such as Jaro Cathedral and Molo Church (which is often referred to as a “feminist church”) are just a jeepney ride away from the center. Museo de Iloilo is also home to Panay’s rich cultural and historical artifacts. Opening just recently is Iloilo’s first contemporary art museum featuring the works of local artists as well as prominent ones such as Salvador Dali and Joan Miro.